Small iPhone to Have Edge to Edge Screen, Voice Navigation? The Wall Street Journal has updated their previous story, adding some new details about the rumored smaller iPhone. The person who saw the prototype of the new iPhone said the device was significantly lighter than the iPhone 4 and had an edge-to-edge screen that could be manipulated by touch, as well as a virtual keyboard and voice-based navigation. 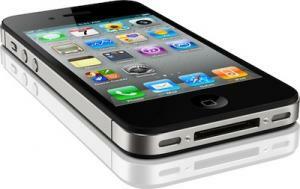 The person said Apple, based in Cupertino, Calif., also plans to upgrade the iPhone 4. The new phone is said to have an "edge to edge" screen with (obviously) a touch interface. The one possibly new feature appears to be "voice navigation". Apple already offers some rudimentary Voice Control with the current iPhone, so it's not clear if this voice navigation is something really new. The newspaper also adds that the iPhone 4 is also expected to be updated.